Jami Dana Morse was born in New York City, New York. Her mother, Georganne, a highly artistic woman of her time, pushed back against traditional female roles and evolved into an and trendsetter: as an artist (her art work has been sold and shown across the United States), music producer, D.J. and clothing designer. Georganne’s artistic side was influenced and inspired by her father – the founder of The Aldrich Museum of Modern Art in Connecticut. Her career evolved into owning her own public relations firm and eventually producing plays and films internationally. Georganne was one of the founding members of Women in Film. Conversely, Jami’s father, Aaron Morse was a man of science who studied at Columbia University and eventually founded Morse Labs, Inc., a drug manufacturing facility in Hoboken, New Jersey. A WWII veteran pilot of the Army Air Corps, Aaron took over Kiehl’s Since 1851 in the 1950’s from his father. He then conceptualized and developed a unisex line of skin and hair-care products that were inspired by his vision for the company, and a profound commitment to health and wellness. Aaron ultimately became the scion of the skin and hair care dynasty of Kiehl’s Since 1851. The foundation was set; the tripod of influences, art, science, and beauty, would deeply influence the course of Jami’s personal, and professional life. Jami remembers being as young as four years old and the fun she would have with her father while developing their secret “potions” in the lab…she was particularly adept at creating bright purple creams. These father/daughter times remain cherished memories to this day and a fascination for the operations of the business began. At eleven years of age, Jami moved from New York City to Beverly Hills and upon graduating from high school, Jami was accepted and studied at Harvard University. Jami’s father was also responsible for instilling in his daughter a continual interest in health and fitness. Jami, a former ski racer, then became a fitness trainer to the Austrian National Ski Team and to other European ski racers and Olympians. It was during her tenure in Austria that she met a member of the Austrian National Ski Team and World Cup champion, Klaus Heidegger. Klaus was raised and he eventually owned a small hotel and café/restaurant in Axams, Austria that was built near the site of the 1964 and the 1976 Olympic venues. Once he and Jami wed, they worked side-by-side, developing the business until in 1985, due to declining health, Aaron asked Jami and Klaus to return to New York City to help in the business, Kiehl’s Since 1851. Jami and Klaus ultimately took over the reins from Jami’s father in 1988, and they were able to build upon the success of the brand that began in the original pharmacy that her grandfather had acquired in 1921. Within four generations, the skincare business burgeoned into what was to become one of the most iconic skincare brands of all time. Ultimately, it became apparent that in order to ensure that their beloved business would have every opportunity to continue to flourish and expand exponentially, Jami and Klaus made the thoughtful choice to pass the torch to L’Oréal. The company was sold to L’Oréal in 2000. Jami was able to then focus whole-heartedly on the next chapter of her life. Her days were fully devoted to raising their three children, Nicoletta, Hannah and Max, whilst simultaneously working on many boards and continuing to oversee the family’s philanthropic traditions. The Heideggers serve or have served on the Board of Trustees, Waterkeeper Alliance: Board of Trustees, USC Gerontology Center; the executive board, founding member, Sierra Canyon High School Foundation; Cardiovascular Research Foundation of Southern California, Board Member; Campbell Hall School, Board Member; USC and Harvard Medical School Boards, and MBT, Board of Directors. They have also been long standing supporters of organizations such as Heal the Bay Foundation, Project Angel Food, the Didi Hirsch Mental Health Center, National Resources Defense Council (NRDC), the Simon Wiesenthal Center, and are members of the Robert F. Kennedy Human Rights Leadership Council, among many others. Klaus became involved with the development and the business operations of a Swiss physiological footwear company that he had invested in, MBT. As Jami and Klaus’ daughters became avid equestrians, Jami found herself spending much time at horse shows and therefore decided to become the owner, publisher and the editor of Show Circuit Magazine, The Magazine of Equestrian Lifestyles. All the while, Jami continued to monitor trade magazines, and she remained informed and up-to-date on the newest and most effective technological advances and clinical trials in the skincare industry. As her learning curve expanded and evolved, she enlisted her personal chemist with whom she had worked for thirty years to implement her arsenal of skincare information into formulations for her own personal use. Resultantly, products emerged that were different from anything she had previously created, formulations that incorporated new technologies, high-octane active ingredients with superior concentrations and unprecedented textures. Jami’s choices for the line were governed by a deep desire to protect the luxury credentials and her personal standard. The preparations were targeted specifically for forty plus skin, and to date they represent an accumulation of information acquired through a body of work developed over Jami’s lifetime. When MBT sold to Berkshire Partners in 2011, Klaus gently nudged Jami to commercialize the line and to return to the beauty arena with her state-of-the-art skin-care line. Jami and Klaus decided to move forward and to enlist their chemist to manufacture in small hand-made quantities the line they in due course named… Retrouvé. The formal definition of Retrouvé is ‘to return.’ Jami’s personal interpretation of the term is to ‘experience a personal renaissance whereby one discovers or reclaims one’s highest and best self.’ Jami also believes in the power of an individuals’ freedom to reinvent, redefine and renew oneself at will…without judgment. Retrouvé, ART· SCIENCE · BEAUTY, metaphorically illustrates a compilation of knowledge acquired from standing on the shoulders of her father and grandfather. It is her honor to recommit to the skincare principles originally initiated by her founding family members and specifically the intrinsic core values taught by her father – “beauty, quality, health and education are what we are about.” Retrouvé was successfully launched in Europe in November of 2013. Jami, Klaus and Retrouvé received a welcoming and enthusiastic response by European consumers and the press community. Currently, Jami maintains a full personal and professional life that is best defined by the word “equilibrium.” Her greatest joy is found while focusing on her family life and savoring as many moments as she can, before they have families of their own. Jami and Klaus’ eldest daughter Nicoletta was graduated from Stanford University last year, and she is currently attending Pepperdine University, where she is studying for her Masters of Psychology. The sixteen-year-old twins Hannah and Max are heavily involved and dedicated to their own goals and aspirations. Hannah, a passionate and nationally ranked equestrian, has her sights set on representing her country in show jumping at the Olympics in Rio de Janeiro in 2016. Max, an accomplished basketball player, is working very hard to earn a place on a coveted college basketball team in a school where he may continue his education. Nikolaus (Klaus) Heidegger was born August 19th, 1957 in a small farm village nestled above Innsbruck, Austria. Klaus’ father worked five days a week, but on the weekends his mother and father would work together along with the help of their three sons and a daughter, as “hobby farmers.” They grew potatoes, corn and radishes, and they raised animals such as cows and sheep. The fruits of their labor and the gifts brought forth from the land sustained them. It was in the small rural village, surrounded by the towering Alps, pure mountain air, and a hard working family and community, where the characteristics of Klaus’ identity, focus and many passions took root. These defining and stabilizing elements have allowed him to thrive professionally, philanthropically and personally throughout his years to date, and remain his North Star as he navigates toward the future. The Alps provided a backdrop of inspiration and encouraged Klaus’ love of nature and his evident desire and talent to excel at Alpine skiing. By the age of seventeen, Klaus became a member of the Austrian National Ski Team, where his accomplishments throughout his professional skiing career between 1977 and 1979 include, but are not limited to: 2nd overall World Cup, 2nd overall Slalom (twice), 2nd overall Giant Slalom, won the World Cups at Kitzbuhel, Austria; Garmisch, Germany; Voss, Norway; Farano, Japan and Wengen, Switzerland. Klaus was also Austrian Champion in Slalom and Giant Slalom, eight times. Klaus met his wife Jami Morse in Austria while she was working as the team’s aerobics instructor. As do many former European ski racers, Klaus built a small hotel and café/restaurant that he and Jami ran in Axams, Austria until Jami’s father asked them to return to Jami’s native New York City, N.Y. to help her family’s business, Kiehl’s Since 1851. 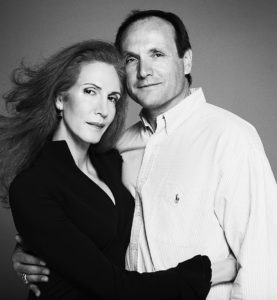 Jami and Klaus became the fourth-generation owners and operators of Kiehl’s; and, during their tenure, the company thrived and evolved from a successful local destination with limited distribution to an elite worldwide beauty and skin-care line. Klaus served as President of Kiehl’s from 1990 until the company sold to L’Oreal in 2000. Jami and Klaus both share a commitment to and a love for health and fitness. This passion led Klaus to invest in a Swiss company called Masai Barefoot Technology, or MBT. These “anti-shoes” were responsible for instigating the frenzy we now call “rocker shoes,” and they can be found in hundreds of stores around the globe. MBT was sold to Berkshire Partners in 2011. Jami and Klaus recently entered back into the beauty arena with Retrouvé a new luxury line of bespoke skin-care products that were recently launched in Paris and Vienna. The Heidegger family generously donates a great deal of their time, energy and resources to their many philanthropic interests and pursuits; but, while Klaus was investigating and studying the inspiration for MBT (the Masai Warriors), his research of the farmers in Africa and their villages touched him deeply. He was made aware of the greatest danger to their existence and the ripple effect of devastation that will ensue when there is a lack of their most precious natural resource, water. Water is the lifeline to existence of all humanity and these amazing, noble people needed help. Klaus devoted and donated time and funding for the building of bore holes in desolate African villages. These bore holes are dug deep into the ground and provide life-sustaining water to barren and droughty regions. Their efforts have assisted approximately seventy thousand people, and Klaus has continued to expand his reach. Along with Robert Kennedy Jr., Klaus sits on the board of the fastest growing environmental movement today, Waterkeeper Alliance, Inc; an organization that champions clean, swimmable, drinkable, fishable waterways worldwide, whilst simultaneously protecting communities and ecosystems. Klaus and his wife Jami are also members of the Robert F. Kennedy Human Rights Leadership Council. In 2013, Klaus’ autobiographical account of his life, My American Dream that was chronicled by Austrian author and journalist Claudio Honsal was published, and it immediately rose to No. Six, on the Media Control GfK Bestseller List. The book was designed to encourage others and to show how everyone can with hard work, dedication, perseverance and resilience achieve their dreams-just as the mountain farmers’ son was able to achieve his. Today, Klaus is thoroughly ensconced in the development of a state-of-the-art, equestrian facility and home that he is in the process of designing for his family and specifically his two daughters Nicoletta and Hannah, who are both avid equestrians. It is on this expanse of land that he is able to express his desires for not only his family but for the world: He is in the process of creating a self-sustaining property that will be capable of generating its own power source through solar panels. The end goal is to produce enough power so the property may give back to the grid. The wells on the property will supply their own water requirements, and the home that will be built will also be an eco-friendly, green home that will have a low carbon footprint. The stables for their horses and the auxiliary buildings that have been built to date have been constructed with natural design elements, and they have a cohesive color palette, so they may blend with the natural landscape. When Klaus isn’t watching his daughters compete in show jumping, he finds much joy in his son Max’s athletic achievements in basketball. Klaus and Jami’s dream for their children is that they may be good human beings, productive citizens with plenty of ambition to follow their own dreams. And how does a man with so many interests and demands escape, rejuvenate and recharge? Klaus still loves the adrenaline rush of speed, albeit now cycling on his road bike or flying his plane above the clouds. His favorite poem by John Magee, Jr. articulates the feeling of solace, and peace Klaus experiences in that space and time….